Greedy me! I sliced open the first mango of the season waiting to eat into the juicy flesh only to discover that it was still not ripe enough. 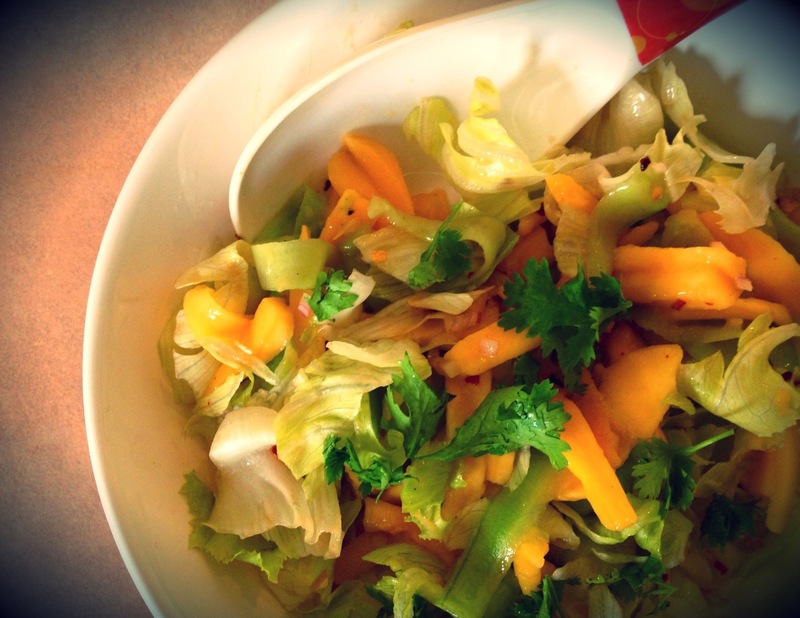 I hate wasting food, and hence the mango salad- quite a nice way to bring in the summer! A bit of lettuce and cucumber along with some olive oil and honey mustard dressing garnished with chilli flakes & coriander did the trick for a simple & quick salad, however for all you meat eaters dying for that missing taste, just add in some prawns! Like what you read? Then subscribe! Just enter your email to follow the blog et voilà! you receive notifications of new posts by email.